MEDI with Álvaro González B. The day had dawned thick with fog and coldness that dissipated as the bus descended down the Panamerican highway. This time, to come straight from San Antonio de Los Altos–where I live–was an advantage over Caracas dwellers. 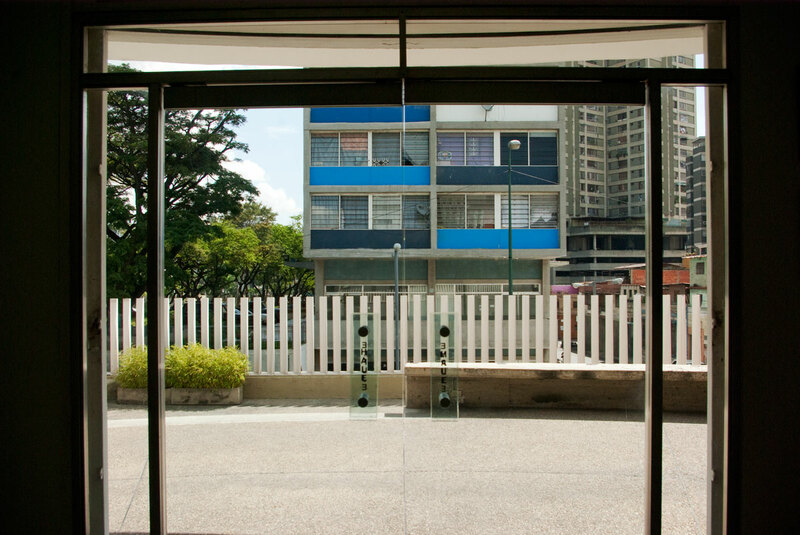 The bus headed through the freeway, entered the Avenida Bolívar and dropped me off at the corner of a couple of Misión Vivienda housing complexes, just across from the Museum. This area–at least during morning hours–is guarded by sluggish armed military and Bolivarian police officers that direct traffic and offer some sense of security as you cross the street. 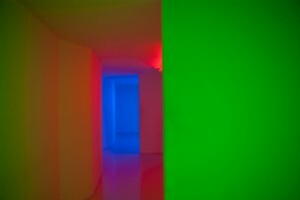 I lowered my guard and took out my camera when I was within the borders of the Museo de la Estampa y del Diseño Carlos Cruz-Diez (MEDI) [Carlos Cruz-Diez Museum of Print and Design]. It was early and sunny, so I decided to look around while Álvaro arrived; there are few opportunities to contemplate this area of Caracas without paranoia. The sober Museum building, beautifully designed by Horacio Corser, looked tiny, minor, amid the gigantic colorful blocks that surround it. From the entrance I could see a compact car; a smiling, waving was at the wheel. It was Álvaro González Bastidas, the popular, the shifty. Álvaro is one of the people who are constantly in action, in movement. Though many artists, curators and collectors have stopped by his workshop in San Román to entrust him with the assembly and binding of projects, artist books, and other devices, his trail is elusive. He is a curator, specialised in paper and rare book conservation, trained at the National Conservation Center in Spain and the Rare Books Division of the Library of Congress in the United States of America; he has served as an advisor and managing director in various cultural and heritage institutions, collections, and archives, both public and private, national and foreign. 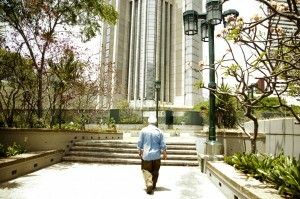 He is currently head of the Heritage Conservation Unit at the Institute for Advanced Studies (IDEA). At the gate, the receptionist asks to check our bags and requests our names and authorization, because “orders are you can’t take photos or any of that on the premises without prior permission and authorization from the museum management,” he warns us. —Who’s the director here now? Tell them it’s Álvaro González. I made this museum. —No, I put it together and opened it. I knew that Álvaro had been part of the MEDI board, but this information is new to me. The Museum is a millennial, merely 19 years old, but the history of its birth –aside from its date– is not registered in the annals of the Internet. “We found this structure in ‘96, when the intention was to activate the Museum, occupied by indigenous and homeless people. We had to clean up, restore, and do a number of things. We were here working like crazy, with Pilar Perez Baldó. 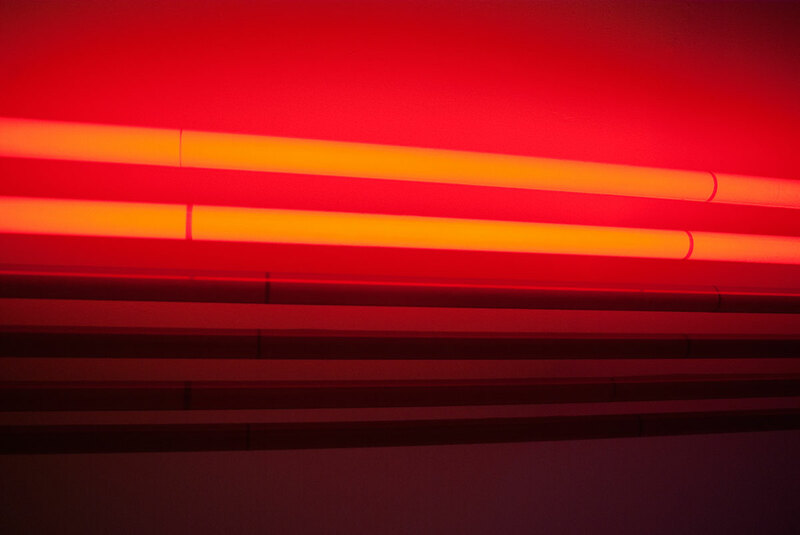 We opened with a Cruz-Diez exhibition,” he reveals, and I envisage that what follows will be important. Not awaiting permission, we make our way through the 3rd. 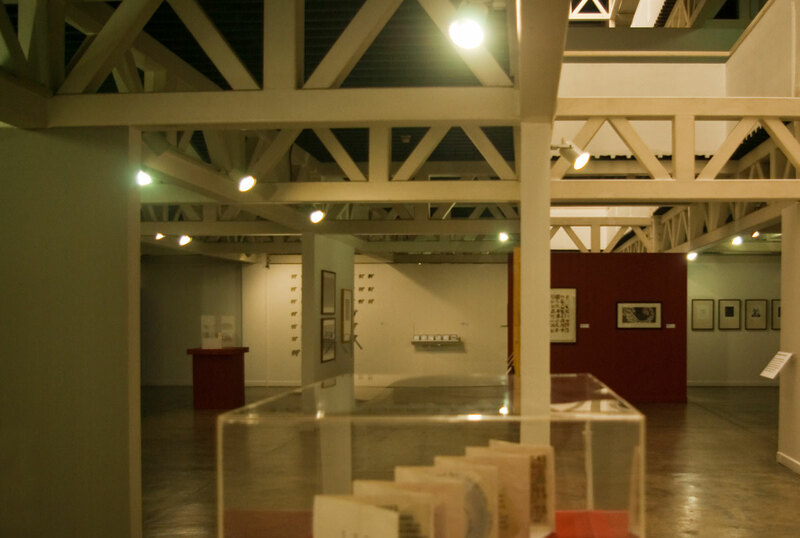 National Biennial of Graphic Arts –a tribute to the great Alirio Palacios–, without stopping at anything. There is a projection of a digitally animated horse that makes me question the limits between graphics and print. I try to divide my attention between the pieces shown and Álvaro’s erratic conversation. He doesn’t seem to care much for what is on the walls, but rather for the structure itself. Every so often he looks up; he is visibly worried about the ceiling. 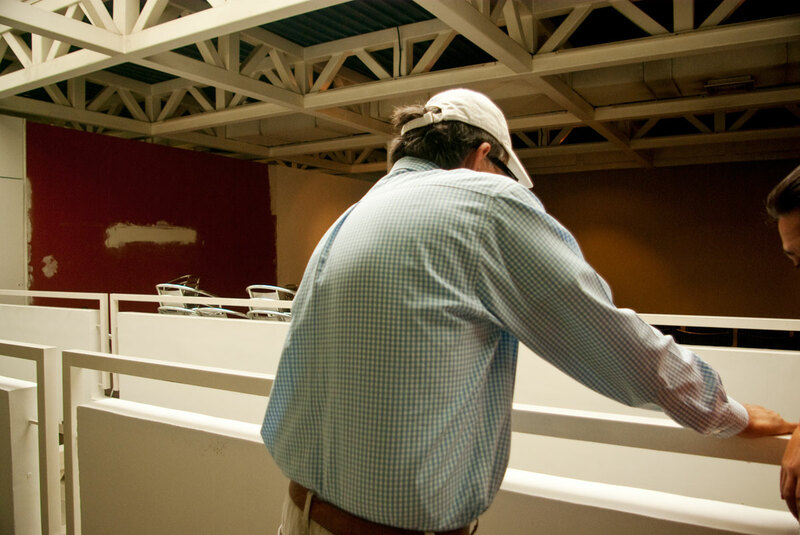 “When we set up this museum, everything was so crazy that the trucks arrived to install the air conditioners when we still had no roof… and now it’s like this,” he tells me, and I observe the gray-dark material that originally allowed natural light to enter. When we reach the end, in an almost orchestrated movement, a woman appears: she smiles with excitement and surprise when recognizing Álvaro. 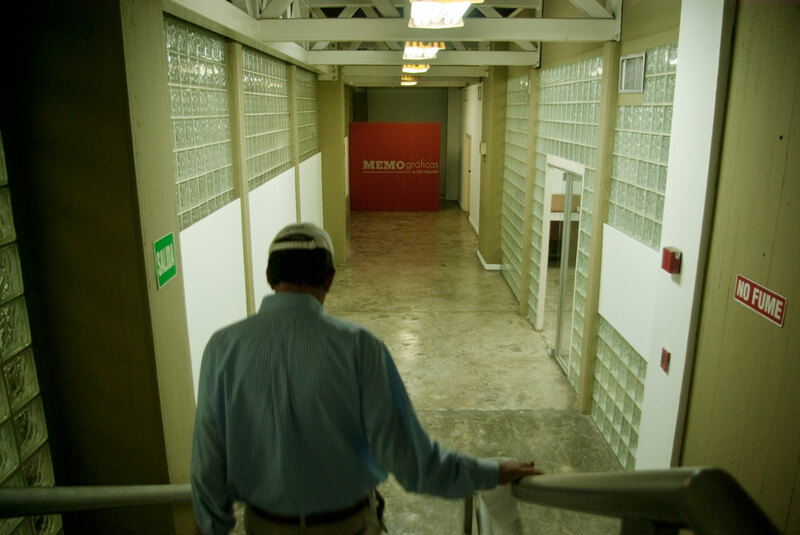 Yennai Quintero, current director of MEDI, and Álvaro have known each other for years, from one of the many training programs on paper conservation that he has dictated in various institutions across the country. 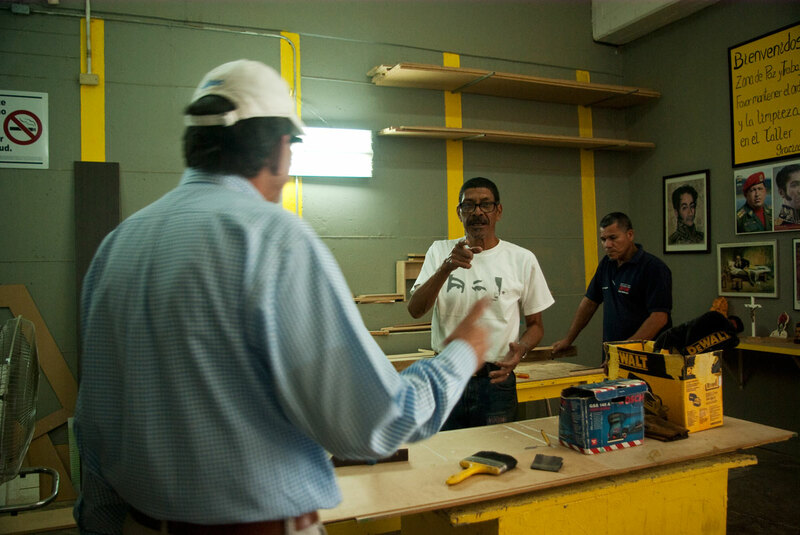 Quintero proudly shows us the children’s space they created in 2014: MEDivierto (a play on “I have fun”), where they offer experiences and workshops in graphic techniques, with tools scaled for young ages. She tells us about the work they do regularly with children and teenagers from surrounding schools, communities, and seniors groups. The paint-stained tables indicate that this is a living space. We retrace our steps; the director tells us, enthusiastically, that they have succeeded in resuming the National Biennial of Graphic Arts, that they are working on the catalog, and that –as everything, lately– it will be digital. 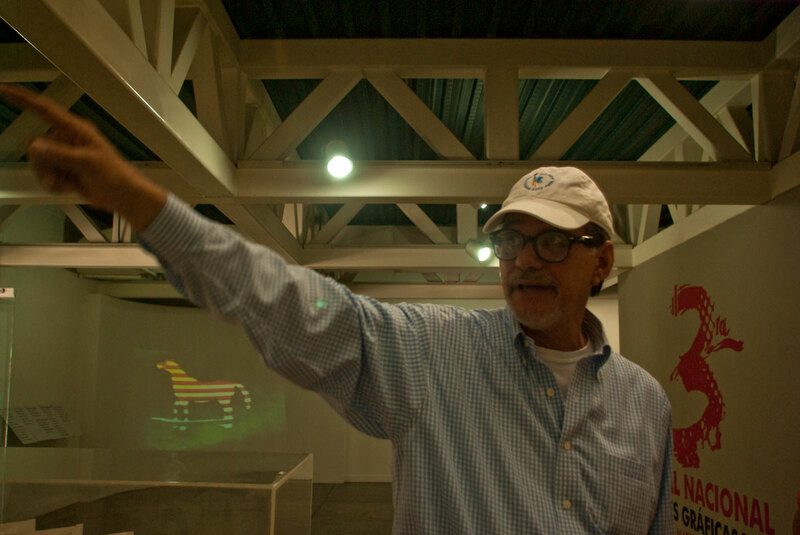 “The first Biennial, we did in ‘98,” says Álvaro, who administers the story in small doses. They held the second one in the year 2000, and it wasn’t until 2015 that they revived it. Álvaro finds it hard to remain calm when he has something in mind, and when he has an interlocutor, he speaks abundantly. 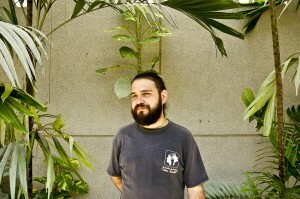 He tells us of the immaterial heritage conservation work he has been developing in recent years with the Yanomami community of Pori-Pori in the Upper Orinoco, together with artist Sheroanawë Hikihiiwë. In 2008, along with the community, they produced Iwariwë, a book made of Amazon fiber paper, which narrates and preserves one of the foundational myths of the Yanomami people. More recently, he leads the project Nohi hetukemamotima ayahi [The house where we will remember what we are forgetting] with María Elena Ghersi–a shapono-school in Pori-Pori to preserve their cultural heritage. Thus, the conversation inevitably leads to the subject that has been in his head for more than a year: Sheroanawë’s exhibition at the Galería de Arte Nacional. 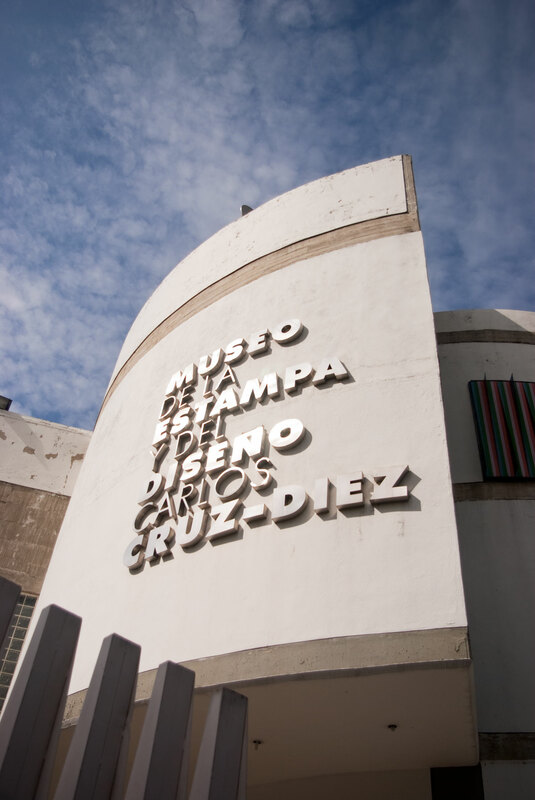 Since 2015, the project has been set up: pieces, museography, sponsorship and invitation design, but the institution has been without a director or any equivalent authority figure for just about the same amount of time. Yennai is outraged by the story and immediately hints at the possibility of a space “that is in the works” in the Museum. The show, made up of paintings, drawings and engravings in handmade paper, perfectly fits MEDI’s raison d’être. 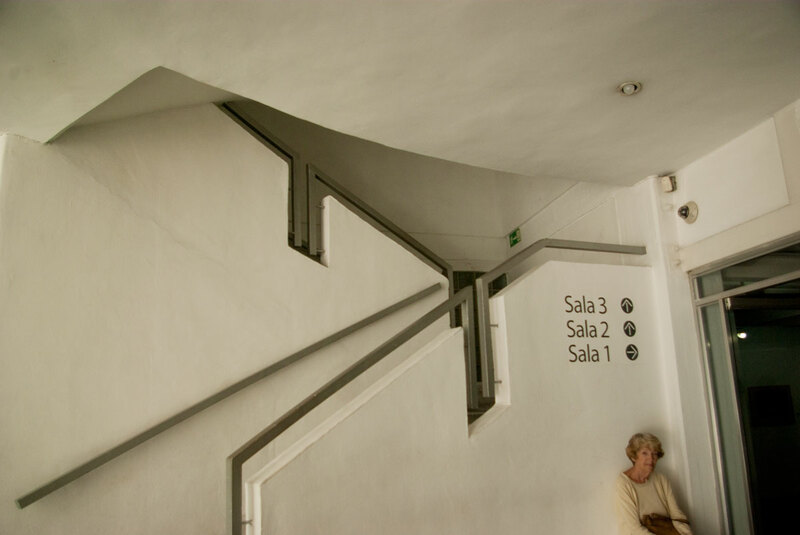 We get off the elevator, our hostess says goodbye, and Álvaro insists on entering the Museum shop. “I go in every time I come. I always find something … ” The small space is well stocked with catalogs, books, t-shirts and a collection of local design pieces. He falls in love with a toy car for his son; I tell myself that I will come back for a couple of catalogs when I have cash. 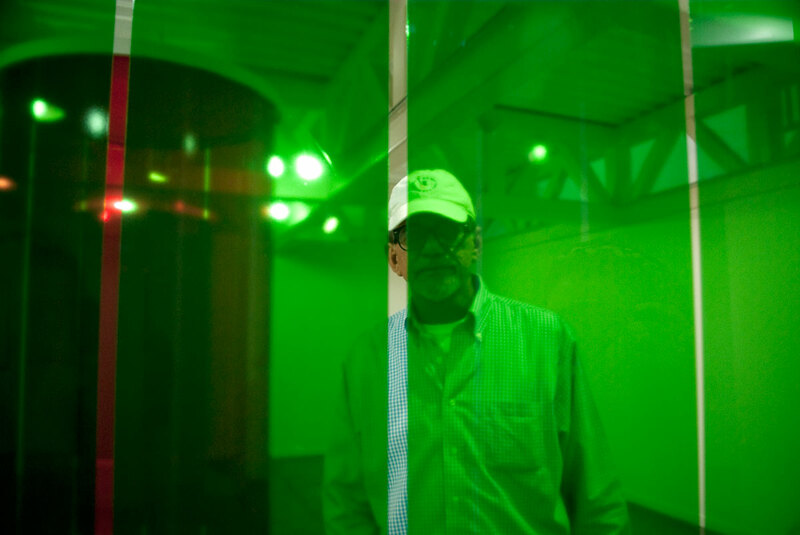 I ask that we go to the Cámara de cromosaturación [Chromosaturation Chamber], the emblematic, permanent work installed in MEDIA since 2004, and that I have never visited. 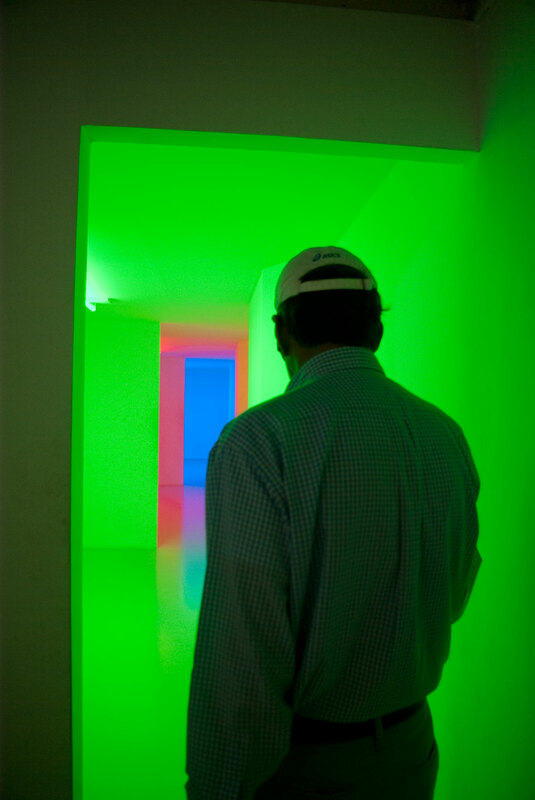 We go up to the second floor, dedicated to Cruz-Diez, where the exhibition Atrapando el color [Catching Color] unfolds. Before he can figure out what the box full of pieces of fabric (shoe covers) is about, Álvaro has taken off his shoes and is in the middle of the first stretch. 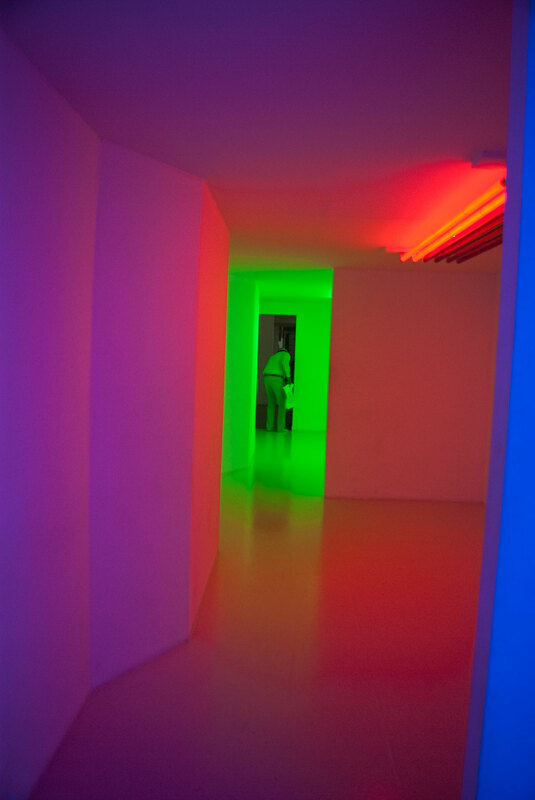 We walk through the white chamber allowing color to traverse us, with its playful mood and its gelatin fiction. On leaving the immersion we find three penetrables, several physichromies, and an informative label. —Were none of these works here when the Museum opened? — I ask. We descend the stairs. 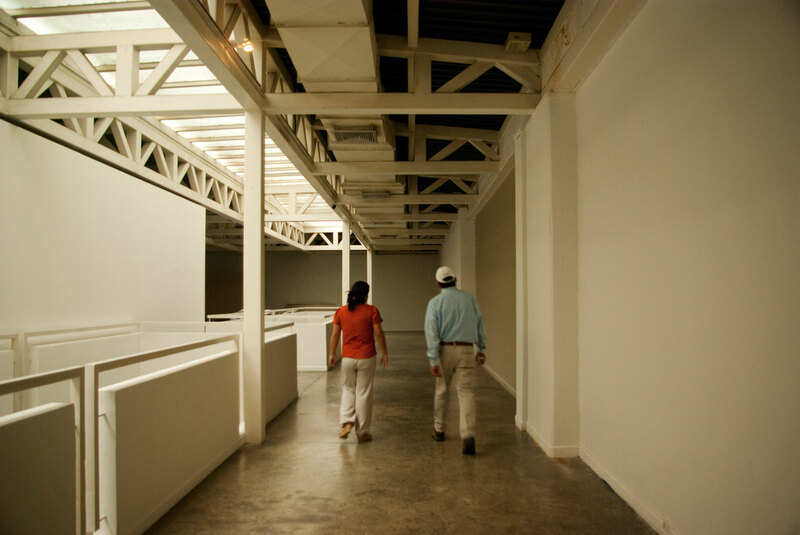 Álvaro leads me and we keep going down, beyond the exhibition space and the halls where a group is engaged in a graphics workshop, beyond posters that warn you to keep out if you are not authorized personnel. He walks with ease, rejoicing in his knowledge of the structure, of its corridors and corners, like a proud, prodigal father. He lets on that on the last week of work before opening the Museum, the whole team lived here. “All these nooks and crannies I know!” he says and laughs; he looks at me with frank mischief, and I complicitly read in his face what the record prevents from narrating. In his personal mental files rests a history that not even MEDI itself seems to remember. We arrive at a large space with desks and microwaves and a lady who looks at us strangely but is satisfied with our “good day!” and our resolute step towards the far side of the room, the source of a thin musical string of salsa and camaraderie. The carpentry workshop is where all museological devices of MEDI are built, from its opening until today. There, a surprised Mr. P. greets us, and he and Álvaro start joking immediately. 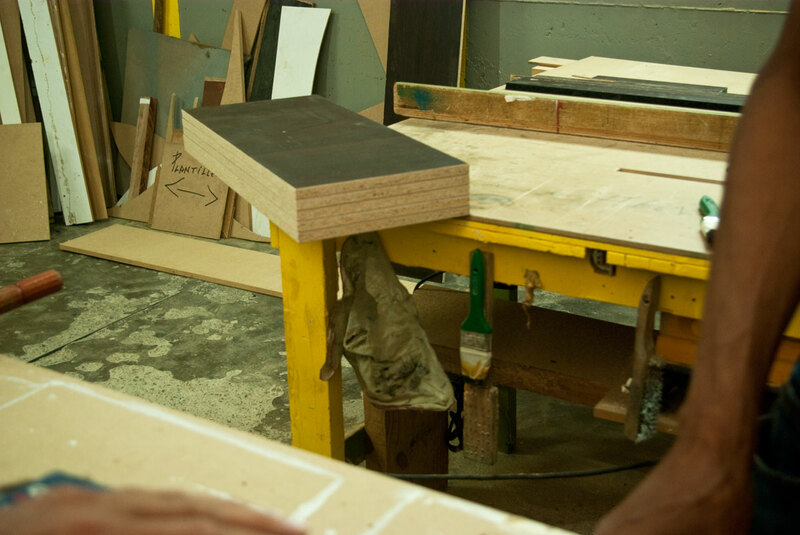 The rest of the carpenter’s team pauses their tasks; some approach us, curious, amused and bewildered by the visit. My attention is again divided between the encounter, the objects in the space, and the political-religious altar that they conserve with care. Álvaro tells Mr. P. that I’m interviewing him about the Museum and encourages him to remember. He was also among the crew that put together the inaugural exhibition. —Nooo, I remember that on that day we opened doors at 12, and we were still putting things together by 10! Waiting and waiting for that darn Potoco… Do you know Potoco?—He asks me. Álvaro laughs. —Well, I didn’t know him either then, but we’d been told that the maestro requested that the exhibition not be opened without Potoco. And we waited and waited and nothing came, and I asked myself: “Is it a relative or close friend of maestro Cruz-Diez…?” And when we saw him arrive…—he lets out a laugh—Do you want to meet him? We move to the other side of the workshop, where the picture of a floating and smiling doll is hanging. It reads «POTOCO CREACIÓN DE C.E. 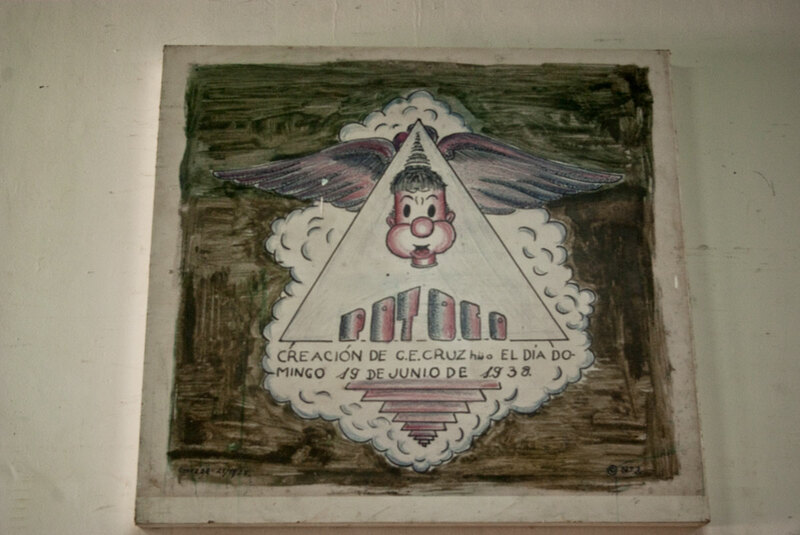 CRUZ hijo EL DÍA DOMINGO 19 DE JUNIO DE 1938» [POTOCO CREATION OF C.E. CRUZ son ON SUNDAY JUNE 19, 1938.] Mr. P. explains that this is the first illustrated character created by Cruz-Diez, who drew it when he was 15. He is proud to have the piece by his side since 1997. I’m a little worried about its conservation. We return to the ground floor and fetch our things. Before we leave, Álvaro proposes to visit the neighboring Museum of Architecture to say hi to an old friend who still works there. We walk the few meters that separate the two buildings by the boulevard, and, as I look at the white fence that borders the MEDI, incandescent under the sun, I receive one last insight: that monochrome is of recent date; the structure was originally a work by Cruz-Diez. In the neighboring museum, the vast basement office has a glass door leading to a beautiful small garden, which once connected both institutions and provided a space of confluence and relaxation. Access is now blocked, and all you can see of MEDI is the wire fence, the stoic profile of an institution that has managed to remain dignified despite its troubles, in a display of throbbing willforce. * The PUHI TROPAO exhibition was on view at MEDI until late February 2017, when it was abruptly dismounted by the Museum. A different version of the show has been displayed at Abra Caracas on June 2017. MEDI con Álvaro González B.